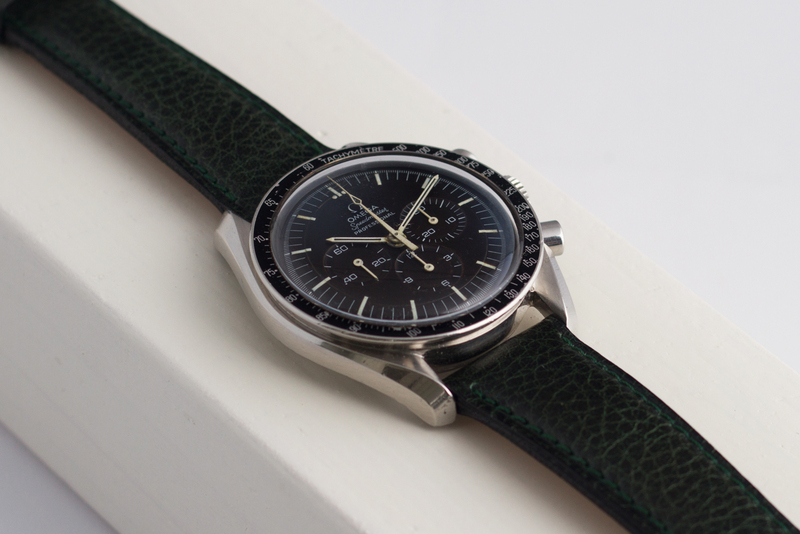 How about this wonderful Omega Speedmaster with beautiful brown ‘Tropical’ dial as your new wrist companion!? 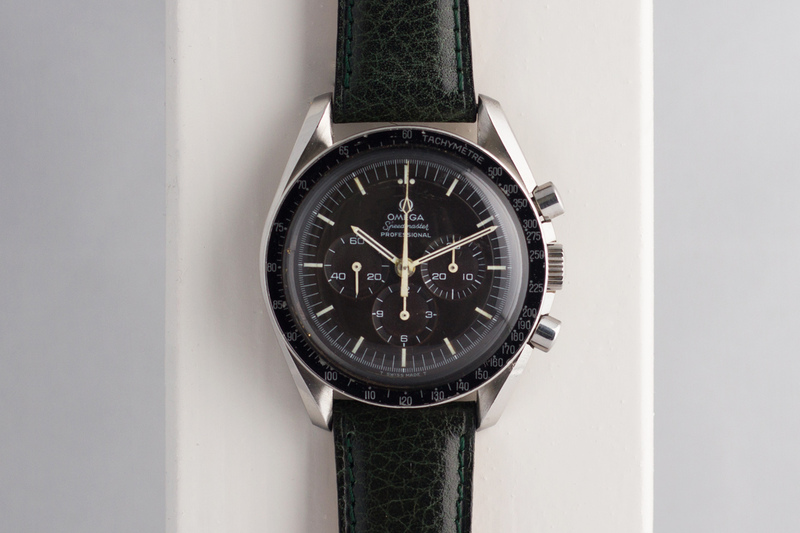 The Speedmaster we’re showing you here is a reference 145.022-69 and is except for the winding crown in an all original condition. Let’s start with the dial; It has that beautiful elevation in the dial which is better known as a step or ‘stepped’ dial. 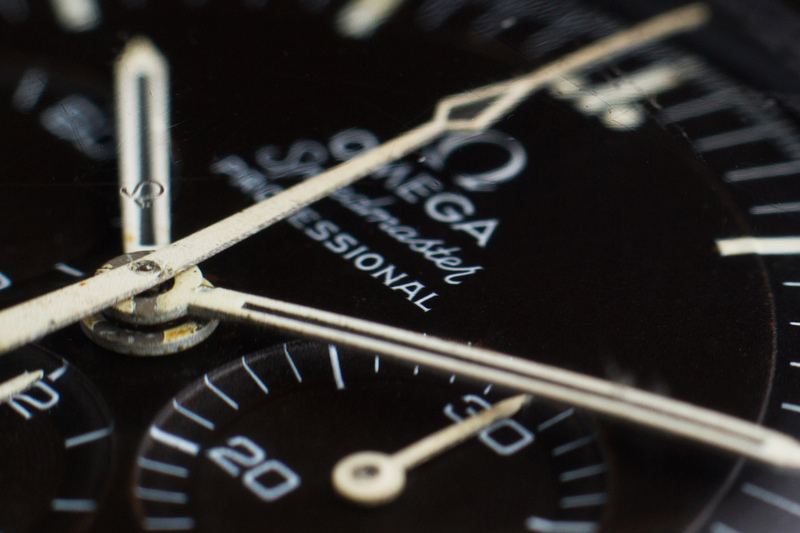 The dial also features the white painted Omega logo, the ‘long R’ in the word Speedmaster and has the word Professional printed right below the model name of the watch. 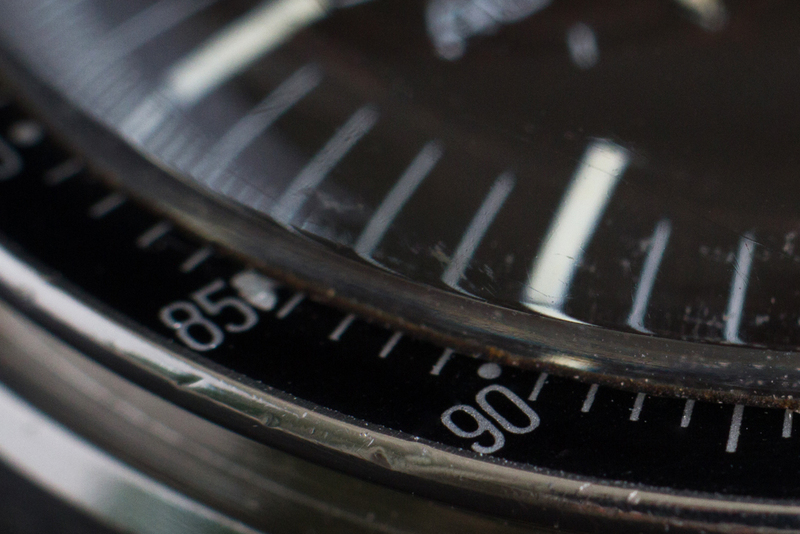 The indices on the dial are the ‘short’ ones while the T SWISS MADE T text at the bottom of the dial is referred to as ‘wide spaced’ text, and you can see why. 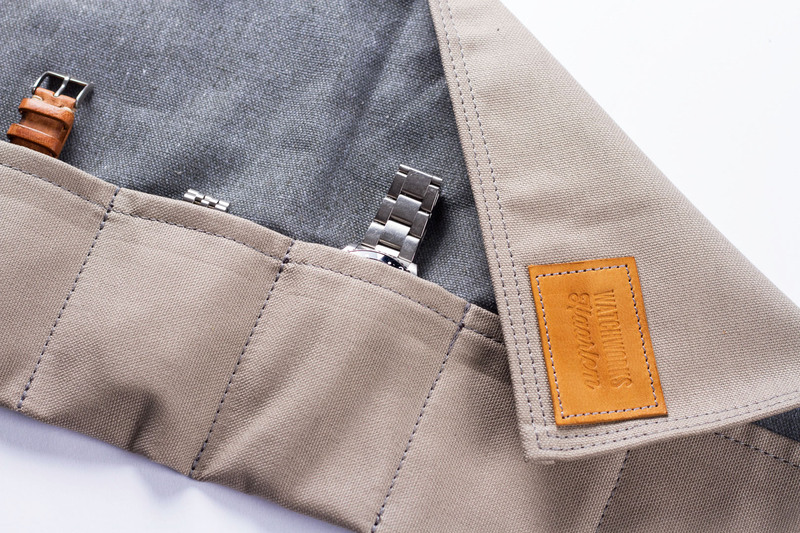 Also, the original hands have changed color to a yellowish tone throughout the years and are chipped at the base due to fitting, removing and re-fitting by watchmakers and their tools. To top it all off, the dial has a wonderful color brown – these exotic and rare dials are better known as a Tropical Dial. 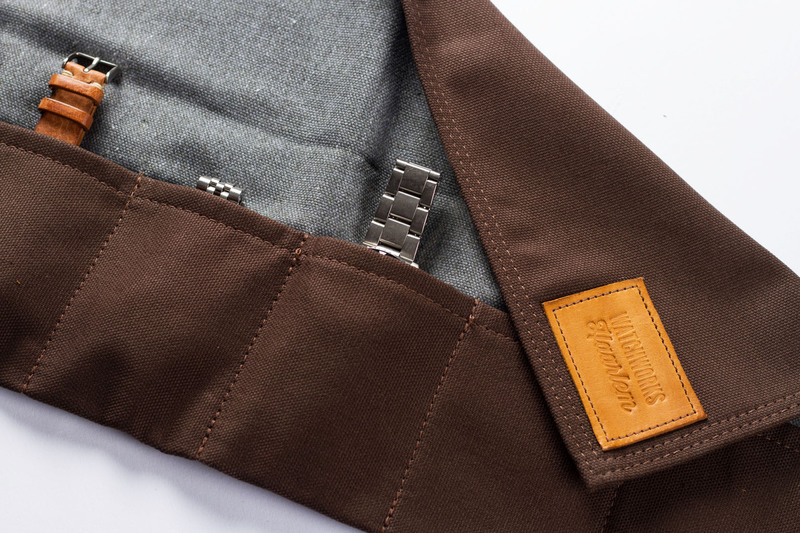 I would refer to this specific color as a dark chocolate tone indoors, and as a milk chocolate tone when the watch is outside or in direct sunlight – really beautiful! The hesalite crystal is still the original as it features the Narrow Omega logo in the center, there are some small scratches on the inside of the crystal (probably from cleaning with a cloth) but because we are dealing with a correct crystal from the 60’s which was fitted to 145.022-69 Speedmaster models, you can understand why we chose to keep it as it is! 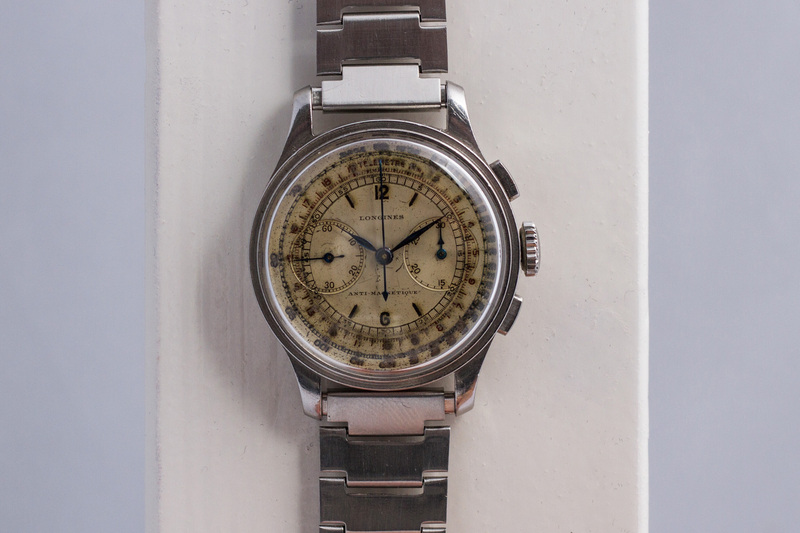 As expected with a 48 year old watch, the case shows traces of wear, and even though there are visible scratches and small dents on the case, we chose not to polish it because it is still fairly thick with clean and sharp lines! 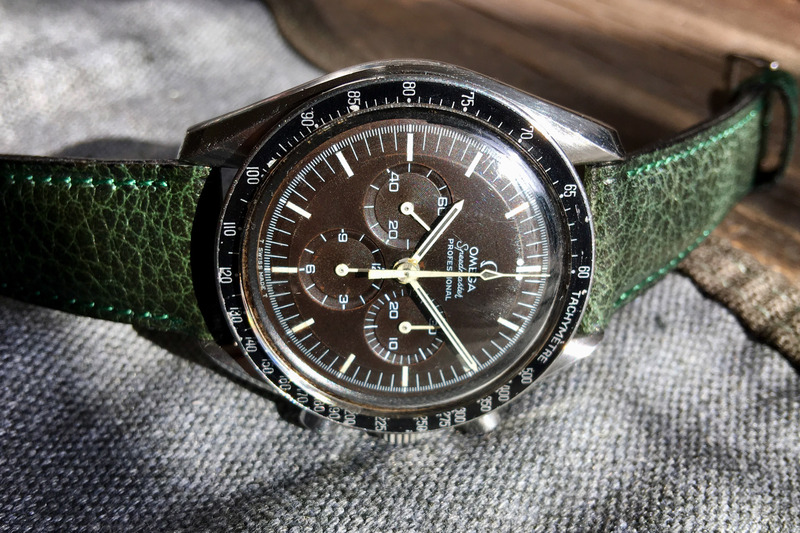 Also, the pushers are still the original and correct chronograph pushers for this ’69 Speedy (5 mm x 3.5 mm pushers) The caseback is a so called ‘smooth’ caseback and is lacking all the text which refers to NASA and/or the Moonlanding. 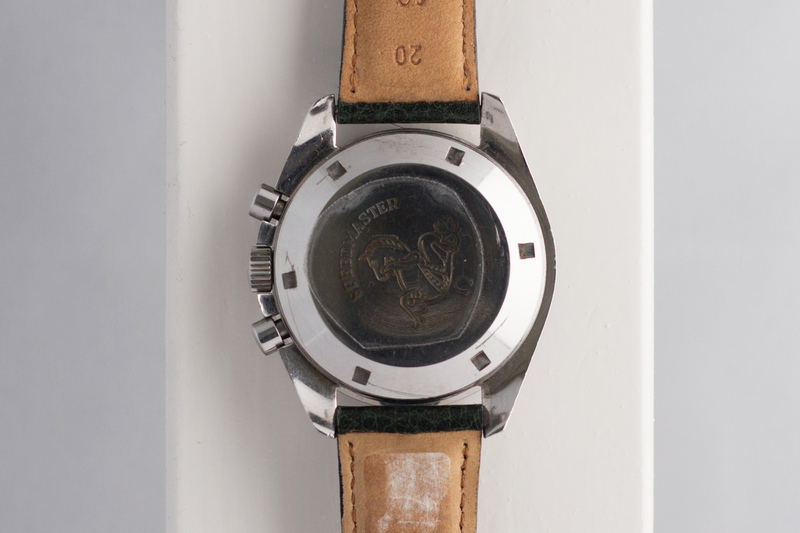 In this case, the caseback just shows us the Omega Seahorse/Hippocampus creature. The winding crown with Omega logo is a later one as it shows the larger and more modern Omega logo. 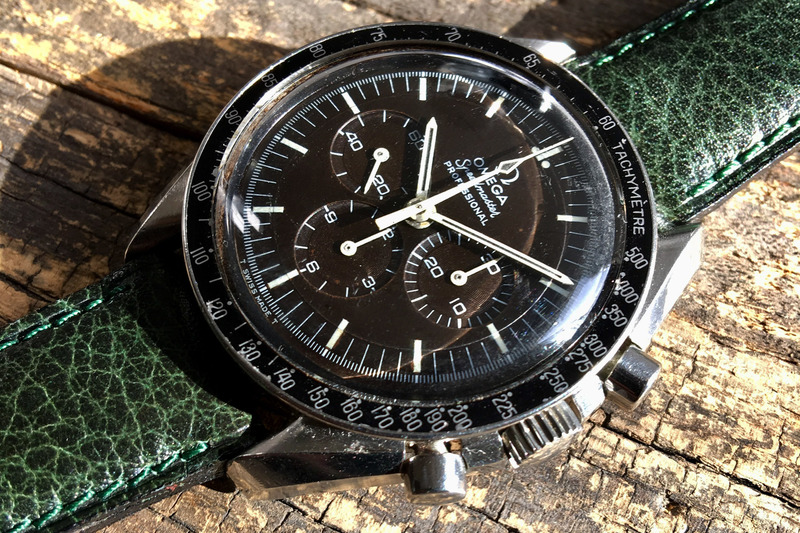 The black 500 base inlay on this ’69 Speedy is the original and much wanted dot over 90 inlay (DO90 or DON) and apart from some small chips it’s in a an excellent condition! As mentioned above, we chose not to polish the case and did not change the crystal due to their original features. The 861 handwound movement has been serviced by our watchmakers and is working like a charm! 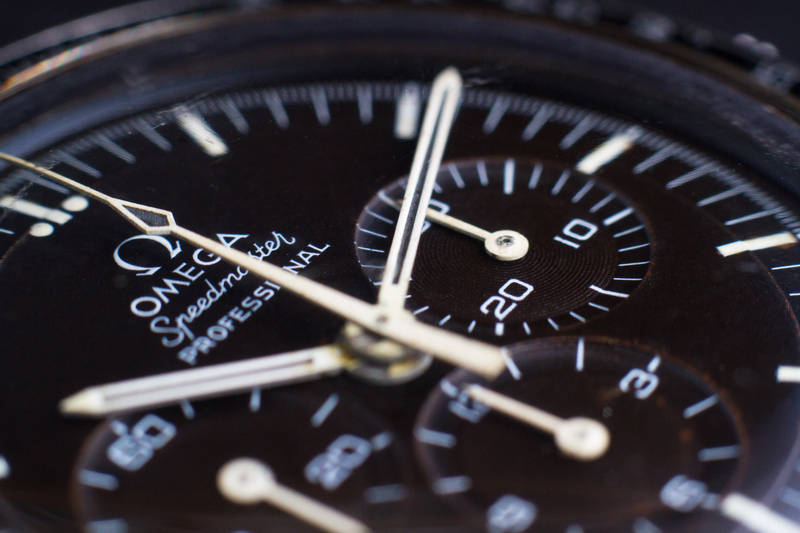 Its becoming harder and harder to find Speedmasters in (near) original condition so get it while you can! 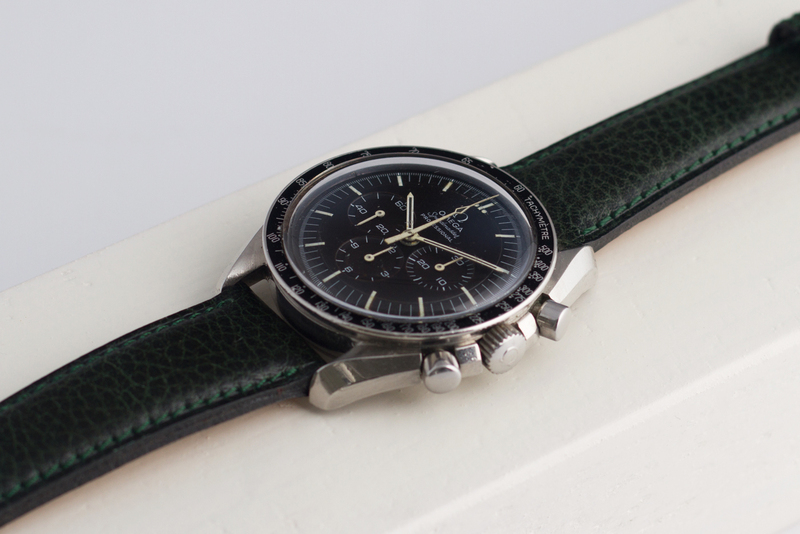 This Tropical Omega Speedmaster will be available with a twelve month warranty.